The legalization of hemp and medical marijuana are harbingers of the coming end of prohibition and the drug war. However in the process, will arise many storms, to be dealt with. Come July 1, 2018 and and Canada will make Cannabis consumption legal at home and on the streets, just like tobacco and alcohol. Parents of teenagers, including myself are very apprehensive of what this means to us and its impact on our society. My initial reaction to this legislation was “are we starting a millennial equivalent of Woodstock?” If anyone has seen images from that period of hippie culture and ‘flower children’, it will send shivers down your spine, especially if you have a young teenager at home. The influence of this culture was pervasive across the globe – one only has to listen to the hit Bollywood song from 1971, “Dum Maro Dum” (“take another toke [cannabis/hashish]”) to understand its reach. Teenagers are gullible, risk takers and their pleasure-seeking brain centers have veto powers over parental control. So, what is going to stop them from trying out another intoxicant that will give them a high? They are drinking alcohol and smoking tobacco, even though the legal age is 21. How do we make our teenagers resist this temptation and ensure they can make informed choices when they come of age? I am hoping that school awareness and health education classes are definitely giving them a more evidence-based perspective on the use of these intoxicants. My son has been asking us about our perspective on drugs and sometimes, he likes to play the devil’s advocate. I try my best not to reveal my deep-seated fears about teenagers and risk-taking behaviours- their never-ending quest to explore how far can they go and get away with! Canada and some states in United States have legalized medicinal cannabis which means they can receive a legal prescription from a medical doctor trained in use of cannabis and get high grade medicinal cannabis. In Canada, the government also provides tax relief for medical users of Cannabis to help them in buying it at reasonable rates. The real concern is among parents of teenagers who feel “the recreational legalization is going too fast”. There is natural curiosity among youngsters to test it out. How many of us know that the human brain undergoes development till the age of 25? And that is what worries me when I hear teenagers using it and their parents allowing it in order to give them a safe place to use it. It is no different than letting them drink alcohol or smoke cigarettes. This realization came to a head when a mother of a 16 year old son confided in me that she lets him and his friends smoke marijuana recreationally once or twice a week “to help them deal with their adolescent stress”. How much information have parents sought out before giving that permission? I am curious to know how these kids can get away with accessing these drugs and that too in the school. Centre for Addiction and Mental Health in Canada reports that 23% of school students in Ontario, Canada were ‘offered, sold or given a drug at school’. Additionally, Canadian Centre on Substance Use and Addiction reports “Canadian youth had the highest rate of marijuana use in 2009-10 (28%) compared to students in other developed countries”. 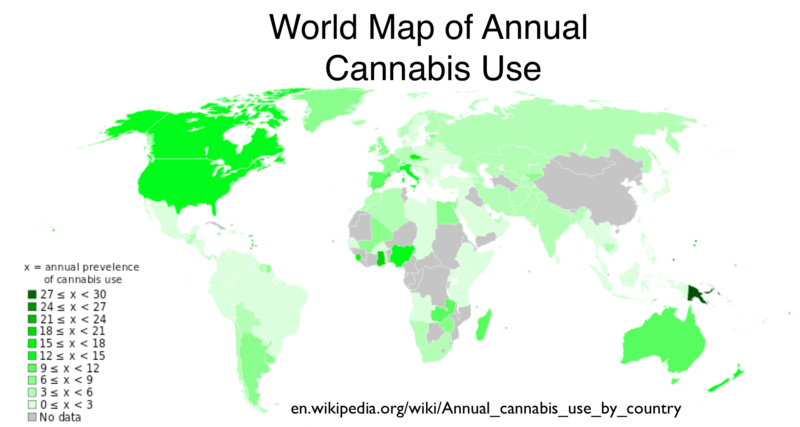 As per the report from UNICEF, in 2013, Marijuana was (and probably, still is) the most commonly used drug among Canadian youth, who are the top users of this weed in the developed world measuring 29 countries. What led to ‘criminalization’ of cannabis and why is Canada legalizing cannabis for recreational use? What are the benefits of medicinal cannabis vs. the effect on adolescent brain? How can we influence our teenagers to drive them towards making informed choices? In this article, I will answer the first question as a way to share what I have learnt and initiate a dialogue among parents of teenagers as the world is moving towards legalizing cannabis following a long period of being classified as a very dangerous drug, bunched together with opioids. There are severe punishments for possession of Cannabis (marijuana, a more derogatory term), yet it has not been a deterrent. Each of these questions will be answered in a separate article. To explore the first question, it is imperative to explore the history of cannabis in terms of its use recreationally, as medicine, and time-travel with legalization. Cannabis, or more commonly known as marijuana has had a very chequered history, from being an integral part of medicine and accepted recreationally in many different cultures and religions historically, to being completely banned as the most dreaded drug. Cannabis has been cultivated in human history longer than any other plant, with its first evidence of medicinal use dating back to 400 A.D.
Archaeological findings have shown 2500 year old human remains with whole cannabis plants used as a burial ‘shroud’ in northwest China. The Altai region, north of Tibetan plateau, seems to be the first place where Cannabis plants have been growing along the river, potentially attracting human attention. 10,200 year old dried cannabis seed specimens have been found on the island of Okinoshima in Japan with evidence of hemp trade with Korea. There is enough evidence pointing to Cannabis as a cash crop – much before “cash” showed up. United States has had a very rocky ride when it comes to use and legalization of cannabis- from being widely used as a patented medicine during the 19th and early 20th centuries and being described in the U.S. Pharmacopoeia in 1850 to being strictly prohibited in 1937, passing the Marihuana Tax Act and being dropped off from the U.S. Pharmacopoeia in 1942, only to make it to the top charts among Schedule I drugs which restricts any procurement even for scientific and academic research. Interestingly, California re-introduced cannabis for medicinal purposes with the enactment of Compassionate Use Act in 1996. Cannabis is one of the 5 sacred plants in the Indian Vedas and Lord Shiva is believed to have a strong preference for Hemp. Cannabis is often smoked, or consumed as a spice drink and even as infused oils. It has been used in the Indian culture recreationally in a very subtle and mild form, Bhang. Surprisingly, Cannabis is not legal in India despite its long history of medicinal use that continues even today in holistic or alternative/herbal medicines, providing relief to many chronic ailments. Records from ancient China show the earliest use of Cannabis in medicine, dating back to the times of the legendary emperor, Shen Nung, about 4700 years ago. The emperor also cited cannabis, ginseng and ephedra as important remedies. Later, Chinese medicine extended to cover use of cannabis for over 100 medical conditions, as seen in the first Chinese pharmacopeia, Pen-t’sao Ching. Mediterranean region has also used cannabis medicinally from 1500 to 200 b.c.e., in Egypt and Greece. The Zoroastrians (modern day Iraq), also used cannabis as one of its most important medicinal plant, as mentioned in their religious text, Avesta. Cannabis moved to the west in 17th century when settlers started to produce hemp in Virginia. Due to its medical use, the 1850 version of U.S. Pharmacopeia mentioned its benefits and despite later laws, cannabis prescriptions were still legal in US until 1970. Cannabis was banned in United States in 1930 by Harry J. Anslinger, Commissioner of Treasury Department’s Federal Bureau of Narcotics. Unfortunately, this ban was not a result of years of scientific data collection and reasoning. It is an astonishing story of power and politics. Then after 1970, cannabis somehow made it to Schedule I class of drugs, which implied that it had no medicinal use and that it has a high potential for abuse. What astounds me is that alcohol, known to cause many diseases, killing people after its use, and with scientific proof for its dangers is still legal. So is smoking tobacco resulting in high healthcare costs to countries. As per records, Anslinger was initially a proponent of marijuana use, but his own political interests and a pressure from alcohol mafia resulted in an overnight shift in his stance, resulting in a ban for cannabis. Anslinger went on to make up false evidence against dangers of cannabis and advocated its ban across the world, starting with severe sanctions against Mexico for not banning its use. The convention on Narcotic Drugs in 1961 created an international treaty prohibiting the production and supply of drugs like Cannabis, LSD, Cocaine and Heroin, around the world and required the signatory nations to make amendments in their country laws to align with the treaty. Following this hardliner approach in US, no more research was being funded to test the efficacy for medical cannabis. So, by the mid-twentieth century, cannabis and its extracts metamorphosed from being safe and effective medicine to a dreaded narcotic. The famous movie Reefer Madness was produced with the intent of introducing scare among parents and put the final nail on its coffin- more powerful than the ban. It is interesting to note here that even with such a strict ban, for 75 years, cannabis has been operating in the underground market worldwide. However, a different environment was brewing in Israel in 1960s with Dr. Raphael Mechoulam, a Chemistry professor, at Weizmann Institute of Science in Israel, who discovered an important component of the plant for therapeutic purposes. Surprisingly, National Institutes of Health (NIH), USA, has been funding this research in Israel, thereby identifying the Cannabinoid system in humans. Today, Israel has one of the most streamlined and sophisticated medicinal cannabis channels, where modern medicine practitioners work together with patients and Cannabis experts to run specialized treatment centers for children, adults and seniors. Following research from Israel, in 2016, U.S.Pharmacopeia (USP) invited researchers to serve as scientific experts on the Medical Cannabis panel in order to develop quality standards for medicinal purposes. However, this is in conflict with the federal government’s drug laws, which puts strict limits on use of marijuana even for medical research. The question still remains hanging in the air as to why US continued to fund cannabis research in Israel and have its patents, while classifying it in Schedule I drugs? Or maybe we all do know the hidden answer. Why is Canada Legalizing Cannabis while it is Illegal in Many Countries? Canadian statistics show that 1.5 million Canadians are already smoking marijuana and is the most common drug of abuse in Canada, Mexico and United States. While Canada produces approximately 800 tonnes of illicit cannabis each year (according to International Narcotics Control Board), generating billions of dollars annually, there are about 400,000 people using it medicinally. So far, records indicate only 3000 medical cannabis users are licensed for legal use. Statistics indicate that substance abuse is on the rise worldwide, with 47000 deaths in Canada alone due to substance abuse in Canada annually. In this environment, the leading Liberal Party of Canada has taken a new stance on legalization for cannabis with the pretext that regulations will help in enforcement of criminal laws for drug abuse with severe punishments for promotion to minors. The government aims to reduce low grade cannabis from circulation, prevent and punish use among youth and children and most importantly, open up access to the immense profits in the form of taxes from the $23 billion industry. This is in a way similar to legal drug injection sites across the country, where no questions are asked when drug addicts bring their own contraband drugs and needles so they can be supervised by medical professionals to reduce incidents of overdose and needle sharing, potentially reducing public healthcare costs. As explained above, Canadian youths are the highest users of cannabis (25.1%) among the developed countries. This highlights the fact that maintaining its illegal status has not resolved the problem of underground market operations in schools, its use among youth, overdosage, impaired driving, costs of non-violent offences and toxic contamination. The new-age thinking of ‘accepting’ the ground realities and then working to make the system safe is quite welcome compared to ‘pretending’ that human behaviour can be completely controlled by laws. It makes sense to legalize it like alcohol and tobacco, ensure high quality, incentivise legal production, share profits and restrict use among minors with strict controls. Is Canada High on Cannabis? With Israel leading the use and research for medical cannabis, the Hebrew University of Jerusalem has launched a dedicated marijuana research centre in 2017 – The Multidisciplinary Centre on Cannabinoid Research, with a tagline “Cannabis is no longer just associated with Getting High but is now tantamount to Getting Healthy”. The research centre focuses on the use and research of cannabis for disease areas of cancer, pain, inflammation & stress management, immunity, metabolism, drug delivery & nanotechnology, pharmaceutical chemistry, neuroscience and plant science & genetics. The centre is one of its kind in the world integrating agriculture, chemistry, drug delivery, pharmacology and chemical development and has created MoUs with the Lambert Initiative, another medical cannabis research institute at the University of Sydney, Australia. Following Israel, 30 states in US allow for medical use of Cannabis as of January 2018 and extensive research is underway, but federal laws on controlled substances and its continued classification in Schedule I drugs, legalizing recreational cannabis in US is still very patchy. On the commercial front, the Canadian government is optimistic about creating immense business opportunities, enjoying total control over retail sales (see news report How Queen’s Park is gearing up to be the largest legal pot dealer in Canada (and maybe the world) with Canada projecting it to be a $23 billion industry including growing, retail, transportation, security, edibles, export, technology, taxes and tourism. The black market now has serious competition in business and government. 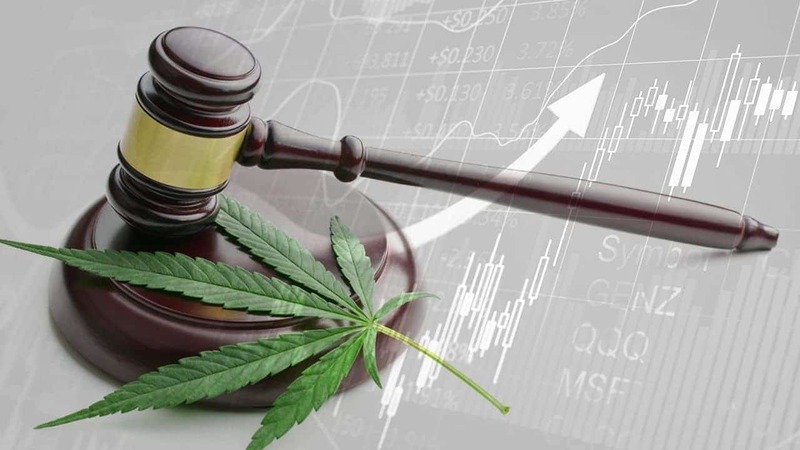 Corporate Canada is moving fast to take over the illegal pot market with its highly educated leaders, earning highly paid prestigious positions and operating from corner offices, legitimizing the previously criminal market into a legal enterprise. Their biggest challenge is “will they draw the nation’s estimated 5 million existing consumers away from the underground market?”. Price and access will determine where Canadian cannabis consumers go. Will the Canadian enterprise call on the underground market to partner up or will they be pushed aside, which usually results in a backlash. As it turns out, cannabis has immense medicinal use, which I will explore in the next article. I was relieved to see how far back history dates to use of cannabis in medicine and recreation and, most importantly, cannabis has not been reported to be associated with death. What stood out clearly in the ban of cannabis was more politics and power than science and goodwill. Fortunately, strong advocacy groups are able to bring the impartial science out of the closet. Definitely, the governments now realize that banning cannabis is hurting the economy more than restricting its use. As statistics point, Canadian youth are among the highest users of cannabis in the world. So, at this point, Canada has chosen to participate in the new ‘gold rush’ and chomp off a big piece of pie from the $23 billion industry, giving some structure to its use and enjoying the cake, giving a respectable face to the underground cannabis operators, who have immense knowledge of the plant, its growth, marketing and sales channels; funding more research into its medicinal use and reduce criminalization costs. At the same time, Canadian parents hope that it will restrict the underground market, especially access in schools. Previous articlePreparing For Elections 2019 Or Stoking Caste Wars?